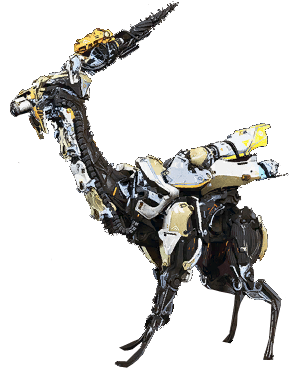 Lancehorn is an Enemy machine in Horizon Zero Dawn. "Agile and confident when provoked into combat, its large drilling horns can cause severe damage." Drill Horns: Destroying these components will disable the Drill Horn attacks.